I’m not really a big fan of little gadgets, but this little rechargeable LED mag-light from Milwaukee has become pretty dang useful to me the past few months. First of all, it’s BLINDINGLY bright, but in a good way. It packs a huge punch for its size. It’s got a little pop-out stand and it’s got a magnetic back. 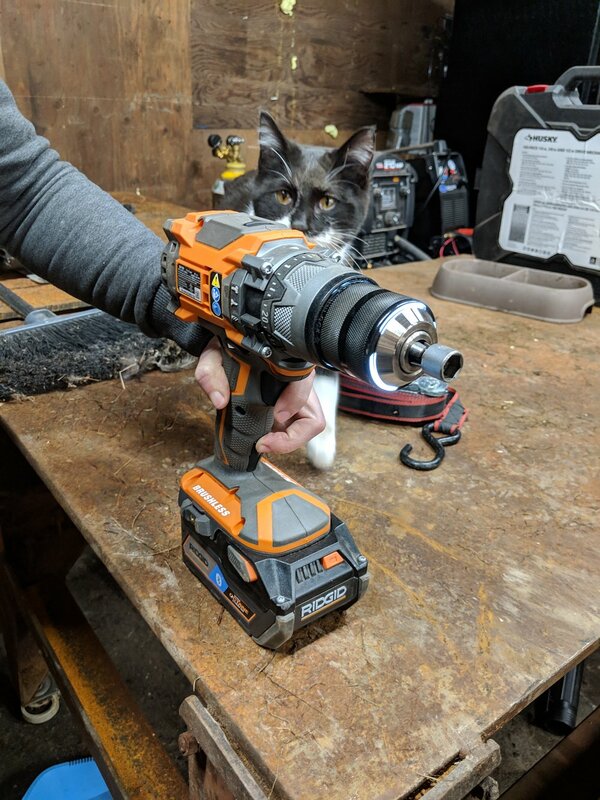 I started using it in the shop, sticking it to the arbor of the drill press to provide spot lighting for drilling, sticking it to the underside of my truck’s hood so I could get a better look at the notoriously shadow-y compartment, clipping it onto the stall doors of my barn when my goat had babies and I needed directional light for health checks. Then I started using it for filming too. It provides really clean light to move or remove shadows, it’s bright enough to bounce off light surfaces for ambient light, and it’s so tiny, you really can change a shot by shining it right where you need it. The battery life is great too. Actually, as I’m writing this, I’m realizing I’ve only even had to charge it a couple of times even though I’ve been using it daily for the last few weeks. Just like other Milwaukee lights, it gives you a few minutes of warning blinks before it shuts down entirely. Of course when the battery dies at an inconvenient time due to poor planning on my part, I do lament the fact that it’s not like my other Milwaukee tools which I can just pop a new battery in, but with its compact size, that is obviously not an option. Plus, I’ve already got two other Milwaukee lights I totally love I can run up and grab if I’m in a pinch. This tool retails for $70, would I buy it? Absolutely. Milwaukee tools are well made, rugged, and functional. 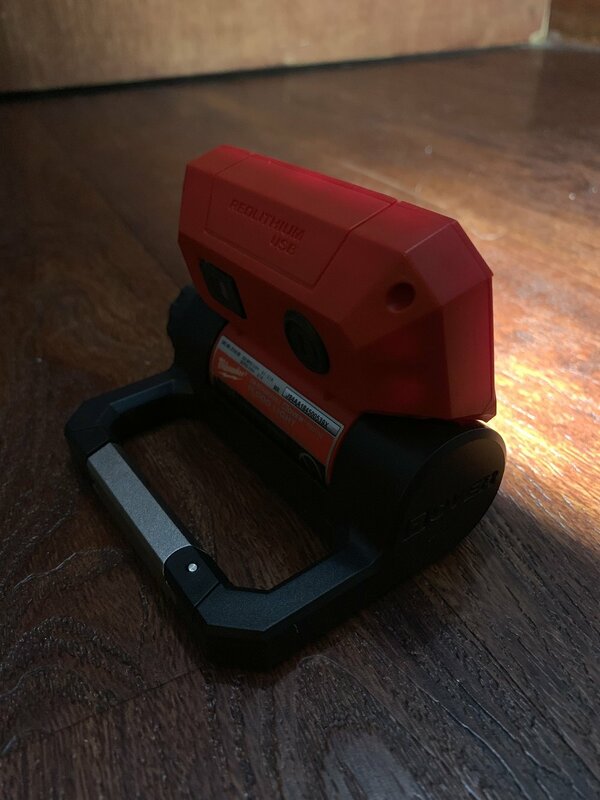 As a serial project-er, farmer, and movie maker, I always find myself needing clean, reliable, compact directional light, and this is a pretty handy little gizmo for all that. Posted on April 22, 2019 by Anne Briggs. While I was doing demo and re-framing the blacksmithing shop, I needed to put in some concrete anchors. I’ve used some cheapies before, and always regretted it the moment the carbide tip chips off right along with the concrete it’s meant to be cutting. Bosch really has the market cornered on drilling technology, and concrete is no exception. The carbide tip pulls the bit right into the concrete so you don’t have to reef on the bit to get it to enter the cut. It cuts fast and clean and held up to a lot of abuse on this project. I don’t often find myself drilling in concrete, but when I do, I’m very happy I’ve got this bit. It retails for $20 and I’d buy it again if I needed to (but this one should serve me well for quite some time). Posted on April 21, 2019 by Anne Briggs. Another tool that came in super handy during the blacksmith shop rebuild was the Dewalt Bluetooth speaker. Because Adam and I are both musicians and audiophiles, there is rarely a time we don’t have tunes on. I plan to hardwire my woodshop sound system into the fab and blacksmith shops eventually, but for now, this little sound machine does a really fine job. It’s loud, the sound quality is great, the battery life with the slim-pack batteries leaves a bit to be desired, but if you pop a flex-volt battery in there, it will run for days. I also really love that it can also run on a power cord. When it’s stationary in the shop, I can use my batteries for other tools, but when I want to carry my tunes out to the garden, I love it’s portability. The other thing I was super impressed with on this speaker is the Bluetooth function. On most battery powered speakers, the Bluetooth range is pretty short and the signal can be pretty spotty. I can keep my phone in my pocket and walk a hundred feet away and not lose signal. It’s also got a USB port so I can use it to charge my phone as well. This tool retails for $79 would I buy it? 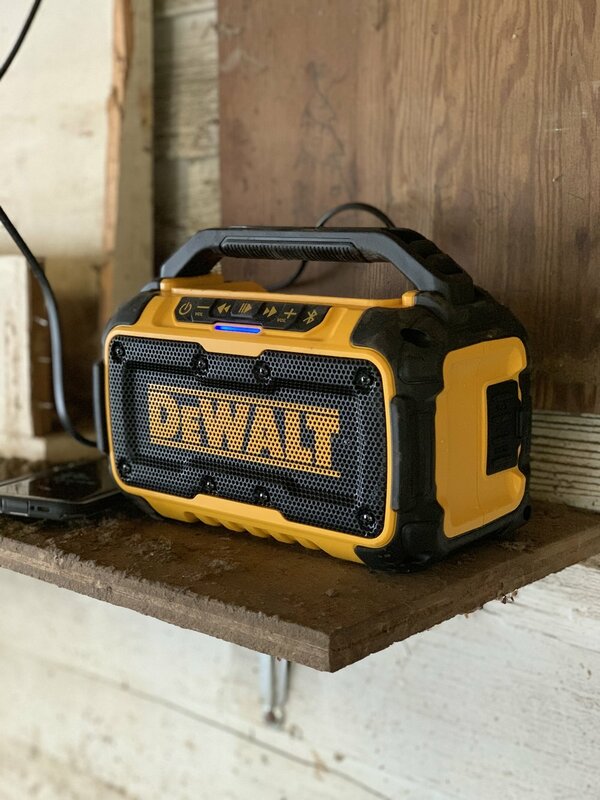 If you need portable tunes and you’re already on the Dewalt battery platform and you’ve got flex volt batteries to pop in this, it’s a no-brainer purchase. I like to use it in the barn, the garden, and even take it out on the boat. If you need a good Bluetooth connection for a stationary speaker on an outlet in your shop, I’d also argue this is a good option. But if you’re on a different battery platform ahd need portability, check out what options your platform offers- this is a great addition to my Dewalt toolkit but wouldn’t be a platform-changing-kind-of-tool. Posted on April 19, 2019 by Anne Briggs. Ditching little gas engines... for good? Let’s cut right to the chase on this one. 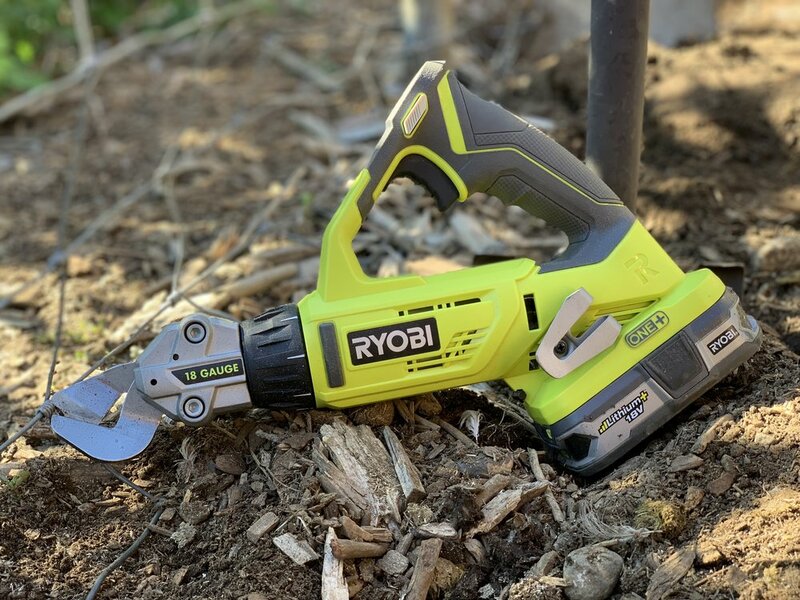 If you use a chainsaw or a string trimmer, and have the budget for either or both of these tools and their attachments, go out and buy them right now. They have proved their worth every penny and then some on my property over the last few months. 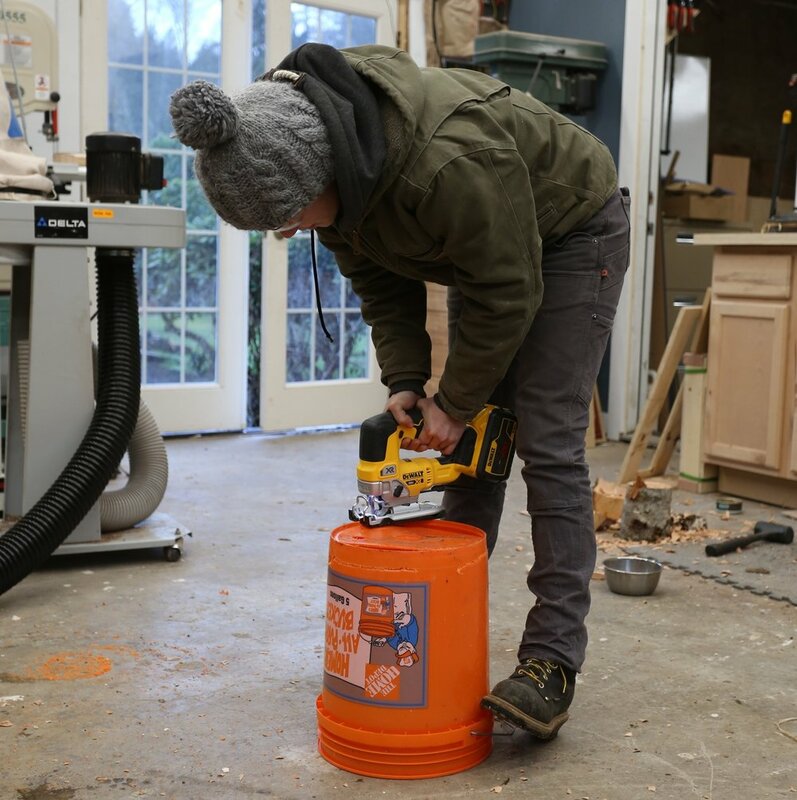 You can offset part of their cost by selling your gas-powered tools, because chances are pretty high you won’t need those anymore. I spent a large chunk of my childhood taking apart small engines and putting them back together. From keeping our pre-historic lawnmower running for my landscaping business I ran from our shed to the ten thousand iterations of my dream go-kart, I know how to get a fussy 2 cycle engine running. That said, there are few things I hate more than fussing with 2 cycle engines. Milwaukee has hit another major home-run in my book this year by offering all the property maintenance tools a homeowner needs on one convenient battery platform. That’s right, I said battery. At this point, battery technology has come far enough I can confidently say it competes with gas power, and there is no exception with the property maintenance tools Milwaukee currently has on their 18V battery system. Check out the Milwaukee 16” M18 Battery Powered Chainsaw! Very few homeowners ever need to tackle any property maintenance that can’t be tackled with ease with Milwaukee’s 18v outdoor tools. Switching to battery power means you can dispense with the tedium of overwintering engines, keeping fresh gas on hand, and dealing with fussy engines, dirty filters, and oil mixes in the spring. Pop a battery in the tool, it starts right up, you get the same freedom from cords and wires as gas, and a fraction of the noise. I’m not just your run-of-the-mill homeowner, either. I’m a homesteader, a wood turner and I manage our 3 acres of urban forest. I’ve got gas powered tools for big jobs, but I’m using them less and less, and have already sold a good portion of them off, because even managing the forest, cutting firewood and prepping woodturning blanks regularly, there is very rarely a job my Milwaukee battery powered tools can’t handle. The chainsaw is especially impressive. It is really quiet, which makes the tool far more enjoyable to use. It’s lightweight but powerful enough to eat through logs that take up every inch of the bar. It cuts quick, it’s rugged and durable, and the battery life is also surprisingly wonderful. When my favorite willow tree split in a recent storm, I bucked up over a cord of firewood, turning blanks, and spoon wood from it on two battery charges. It was not a small tree, either. It was during that project that I realized that as long as I had a sufficient battery supply, I probably wouldn’t need to use my gas powered “big girl” chainsaw on anything other than giant logs again. Because we’ve got animals that graze, I rarely (if ever) mow my lawn, but I do try to keep the tall grasses (ok, weeds) around the fence posts and against my landscaping cut nicely. A string trimmer is great for that, but I have to use it so infrequently, it’s always an ordeal getting the gas trimmer started. The battery powered trimmer is convenient, quiet, and shockingly powerful. The bump feed works well and restringing it is fairly straight forward. The only negative I’ve found for the trimmer so far is that it’s so powerful, in fact, that if you’re not too careful with the bump feed function, the long strings can really tear up the plastic guard. Check out the Hedge Trimmer attachment! I’m usually not one for multi-use tools, but the attachments for the string trimmer are a pretty major exception. Our house only has one small sidewalk, so I don’t have a ton of use for the edging attachment, but it works really well and the tool delivers the same kind of power with the edger as it does with the trimmer. It made quick work of cleaning up the lines on the walkway up to the front door. Check out the M18 Cordless Trimmer with Quick Lock Technology and Multiple Attachments! The hedge trimmer attachment is another winner, articulating several different directions to make trimming brush a breeze. It trimmed up my boxwood and forsythia fabulously, snipping errant branches up to ½” thick like they were nothing. One feature I’d like to see on this tool is a short arm for trimming brush that grows at waist height, because while the long pole makes it really handy for reaching the tops of bushes and working above my head and at ground level, it’s really awkward working at waist height with such a long pole on the tool. The real standout attachment for the trimmer for me, however, is the pole saw. I was able to safely trim my fruit trees with both feet planted firmly on the ground. The saw comes sharp, is plenty powerful, and the dang thing is so much fun to use, it’s turned an annual chore into a really fun activity. These tools retail for: would I buy them? If you, like me, are sick of fussing with small gas engines, I’d say the saved frustration and easy “turn on and go” function of these tools is worth every penny simply for the frustration saved. If you aren’t super handy or time fussing is an issue and you have to take your gas engines in to get serviced, these battery powered tools will pay for themselves in short order. All of that said though, these tools are not cheap, especially if you’re not already on the Milwaukee platform and you’ve got to invest in the big batteries as well. This gets even worse if you don’t already have other Milwaukee tools and thus have extra batteries to pop in while the others are charging. Having a project halt to a stop because your battery is out of juice is a real bummer. That said though, my gas projects come to a similar halt when I run out of gas or oil mix too, so that one is somewhat less concerning to me. Yes, these tools are a huge investment. I’d choose the attachments for the trimmer carefully, especially knowing how those add to the cost as well, but I can tell you right now I’d pay double the price these tools are for the convenience and saved frustration I’ve found with the chainsaw and polesaw attachment for the trimmer alone. It would be tough for me to write a review that was not more glowing than this. Posted on April 18, 2019 by Anne Briggs.